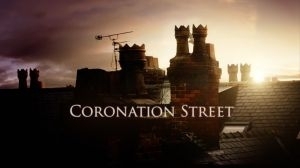 Coronation Street (colloquially known as Corrie, Corro, or The Street) is an award-winning prime time soap opera set and produced in Manchester created by Tony Warren. It is the longest running and most watched soap opera on British television. It was first broadcast on 9 December 1960, made by Granada Television (now ITV Studios) and broadcast in all regions of ITV almost throughout its existence. Gemma encounters a blast from the past, and Sally fears for her safety without Abi's protection. Meanwhile, Audrey's loved ones grow concerned for her.Sally fears for her safety without Abi's protection. Claudia is taken away for police questioning but Ken is adamant of her innocence, while Sophie and Tim lure Duncan's daughter Olivia to Speed Daal to get information from her. Elsewhere, Daniel hatches a plan when Sinead's hair starts falling out. Sophie leaps into action upon spotting Duncan's wife. Sinead receives disturbing news at the hospital. Nick's generosity plays into Elsa's hands. Gina comes to the rescue when Sophie's plan falls apart. Sinead gives birth prematurely with Daniel by her side. Leanne quizzes Nick about Elsa. An unexpected visitor spells trouble for Nick. Daniel introduces his baby son to grandad Ken. Mary warns Tracy against toying with Steve. Nick makes Leanne feel guilty. Sally suffers a terrifying encounter in prison. Daniel shelters Sinead from the truth about their son's health. Audrey decides to sell her stake in the salon. Tracy urges Daniel to be honest with Sinead. Kate ploughs ahead with wedding preparations. Tracy and Steve consider trying for a baby. David announces his intention to open a new business. Sinead finally meets her baby boy. Sarah drowns her sorrows over Gary. Leanne defends Simon from Tracy's accusations. Tyrone follows Evelyn to discover her secret. Tyrone gains an insight into Evelyn's past. Adam and Sarah share an intimate moment. Leanne disapproves of Peter's plans for Simon. Steve and Tracy agree to support Amy's decision regarding the baby. Tyrone confronts Evelyn with his discovery. Sarah tries to keep Seb on side. Evelyn finally tells Tyrone the truth about his birth. Sarah persuades Adam to apologise to Seb. Steve and Tracy offer to raise Amy's baby. Seb faces losing everything when Gary fires him. Amy considers her parents' proposal. Evelyn asks Roy to plead her case to Tyrone. Abi and Seb attend the twins' adoption hearing. Steve and Tracy blame themselves for Amy's plight. A rejected Evelyn sets off on holiday. Peter assures Abi that he and Carla are just friends. An angry Seb spills Sarah's secret to Gary. Rita learns that Norris intends to sell The Kabin. Peter sails close to the wind with Abi and Carla. Gemma publicly accuses Paul of stealing. Daniel finds Adam with his bags packed. Gemma catches Paul stealing from Roy, and Jenny suffers a meltdown behind the bar. Elsewhere, Abi looks forward to setting sail with Peter. Shona refuses to go the extra mile for Clayton, and Brian sweet talks Rita into returning to work. Elsewhere, Carla worries about Roy's latest obsession. Gemma stages an intervention as the Connors face court. Rita thwarts Brian and Cathy's big announcement. Bethany uncovers her uncles' masterplan. Shona breaks sad news to Clayton. Steve grows alarmed when Liz disappears. Nick and David's staff interviews meet with opposition. Johnny attempts to reach out to a fragile Jenny. Shona's concern for Clayton stirs up trouble. Brian struggles without Rita at The Kabin. Clayton's enemies get too close for Shona's comfort. 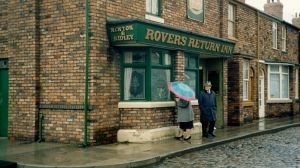 Johnny and Jenny return to chaos at the Rovers. Carla finds Roy sleepwalking in the street. Nick demands an explanation from Shona. Abi takes the news of Peter's travels to heart. Carla recruits Brian to solve a mystery for Roy. Peter prioritises Simon over Abi. Clayton faces the consequences of Shona's actions. Gemma attempts to show off her domestic talents. Carla could hold the key to the arsonist's identity. Amy lies to Tracy about her pregnancy scan. Chesney springs a romantic surprise on Gemma. Shona hopes to see Clayton at his father's funeral, and Gary warns Carla that the factory roof is unsafe. Elsewhere, Steve gazumps Claudia with a higher offer. Clayton's break for freedom has David fearing for his family, and Roy asks Carla to find somewhere else to live. Meanwhile, the McDonalds celebrate their new house. Amy ponders how to avoid attending her scan, and Brian offers to help Daniel with an essay. Elsewhere, Kevin's confession vindicates Gina. David orders Shona to pack her bags, and Kevin fights Gina's corner. Meanwhile, Billy despairs of Claudia's opposition to a new bail hostel. Determined to avoid being sent back to prison, Clayton holds Shona at knifepoint. Tracy argues with Vicky about Amy and the baby. Daniel despairs about his academic ability. Steve employs Seb as a valet, then learns Tim has offered the same job to Abi. Shona puts her life at risk for Clayton. Seb comes to Sarah's aid when Max goes missing. The council's chosen location for the bail hostel outrages Claudia. Shona and Clayton are rushed into hospital. Sarah forces Gary to pay Seb a fair wage. Rana resents Lolly muscling in on her wedding plans. Seb believes a seductive message from Sarah is aimed at him on his 18th birthday. Meanwhile, Yasmeen is uncomfortable when Geoff arrives at No 6 with his overnight bag, and Rana feels left out when Lolly suggests to Kate they should have a night on the town. Yasmeen confides in Cathy that she is scared of letting Geoff stay over, and Chesney suggests to Gemma she should move in on a permanent basis. Meanwhile, Seb returns to his surprise party, but what happened at No 8? Nick's flirting with the mysterious Rachel is halted when he discovers who she is, Seb finds himself out of a job, and Yasmeen asks Geoff to move in while he recovers from a bad back. Bad press and a typo could ruin Nick and David's business, while Carla has roof problems at Underworld. Elsewhere, Vicky begs Robert to give Tyler another chance, and Yasmeen realises Geoff's game when he starts milking his bad back for all it's worth. David and Nick fear the opening of their new business is a disaster, and Carla ramps up her plans to outsource production to a cheaper factory. Elsewhere, Michelle tells Robert she thinks she might be pregnant. Carla takes charge when Michelle suffers a scare. Evelyn finds Tyrone lying in wait for her. David struggles to cope alone at the barbers. Michelle informs Robert that she is not pregnant. Tyrone invents a reason for Evelyn to stay. David is furious at Nick for employing Gail. Lolly monopolises Kate and Rana's hen party. Evelyn starts work in the office at Webster's Autos. Gail finds a candidate for the barber vacancy. Lolly overhears Kate making fun of her. Natalie demands money or a job from Nick. Robert accuses Carla of creating conflict for him and Michelle. Nick rumbles Carla's secret plan for the factory. Kate and Rana uninvite Lolly from their wedding. Seb's resentment of Gary intensifies. Carla is aghast that Peter is leaving town. Kate suggests to Rana that they postpone their wedding. The disgruntled factory workers occupy Underworld in protest. Sally and Gina's row brings down the factory roof. Rana insists on going ahead with the ceremony as planned. Carla begs Peter to stay in Weatherfield. As Sally lies unconscious, trapped under the falling debris, the bodies of the protestors can be seen slumped next to each other as water from a burst pipe seeps across the floor towards a live power cable. Tim, Abi and Tyrone force their way into the factory to help before emergency services arrive to search for survivors. Suddenly a loud noise signals the last section of the roof collapsing as debris rains in on those still trapped. Elsewhere, at the wedding venue a nervous Kate paces up and down as she waits for Rana, wondering if she's had a change of heart. A phone call from Rana explains everything, will the wedding go ahead? As Kate talks to Rana on the phone she's insistent they can still go ahead with their union. Will the couple get to exchange the vows that mean so much to them? Stood outside the ruins of the factory Carla's consumed with guilt. A devastated Carla reveals that she knew the roof was unsafe but chose to ignore it. As news of a death inside the factory is delivered Carla breaks down. Elsewhere, David confronts Nick, wondering if he's to blame for the factory collapse and if he was intending to pull an insurance scam. Grief stalks the street following the factory roof collapse. Carla, Nick and Gary are keen to conceal their guilt. Roy is reunited with a face from the past. Daniel and Sinead bring baby Bertie home. Gary's van is vandalised and his tools stolen - is Seb to blame? Michelle defends Carla as her friend is accused of an insurance scam. Angry Robert sacks Ryan for spying on him. Gary demands cash from Peter to pay off Rick. Beth and Claudia clash during Bertie's homecoming party. Gina refuses to turn a blind eye to Tim's suffering. Imran accuses Carla of covering up the truth. Sally thanks Gina for saving Tim's life. Sinead spots a business opportunity at the barber's. Robert forces Carla to come clean during Rana's memorial. Gina finally receives Sally and Tim's forgiveness. A frightening sight meets Chesney's return home. Carla faces the repercussions of her confession. Chesney catches Gemma cheating in a radio phone-in quiz. Geoff brags about his gardening prowess. Carla finds herself public enemy number one. Chesney berates Gemma for defrauding Mary. Rita plays matchmaker to Paul and Billy. Chesney tires of Gemma being irresponsible. Carla resolves to make amends to her workforce. David offers Natalie a trial at the barber's. Carla receives a chilling message on Aidan's birthday. Chesney faces up to his own mortality. Nick and David encourage Natalie to quit her job. Peter grows concerned as Carla begins to unravel. Emma hosts a 'Mr and Mrs' contest at the Rovers. Natalie refuses to be beaten by Nick and David. Suspicion falls on Imran when Wayne's report is stolen, and Peter informs Carla's family of her disappearance. Meanwhile, Sally implores Tim to take his condition seriously. Imran maintains his innocence under police interrogation, and Kate receives Rana's personal effects. Elsewhere, Bethany tells tales to Sarah about Gary. Gary meets a familiar face on his first day collecting debts, and Chesney and Gemma's caravan holiday starts badly. Meanwhile, Michelle lashes out at Robert. Sarah fears Gary will be implicated in the roof sabotage, and Chesney catches Gemma fleecing Joseph at poker. Elsewhere, Nick diverts the police's attention from his crime. 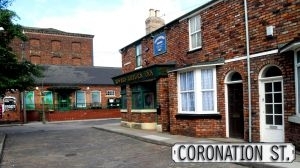 Peter's search leads him to Carla's childhood estate, and Gary begs Sarah for another chance. Elsewhere, Seb and Alina's first date gets cut short. July 17th 2011 Genre rating added by Administrator. July 17th 2011 Genre added by Administrator. July 17th 2011 Series added by Administrator.